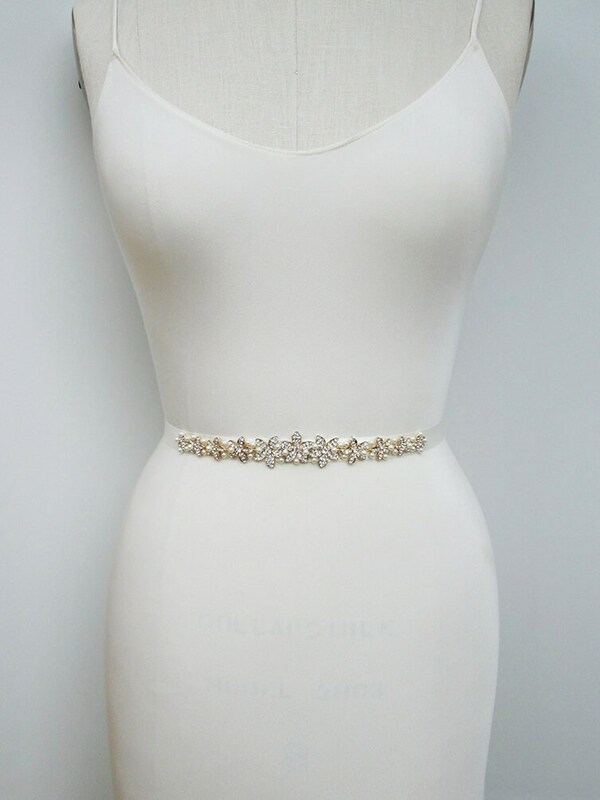 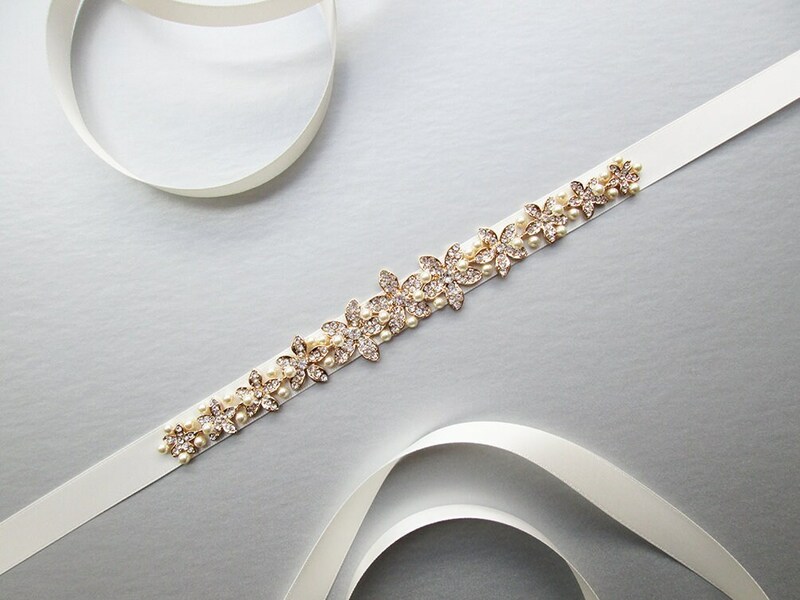 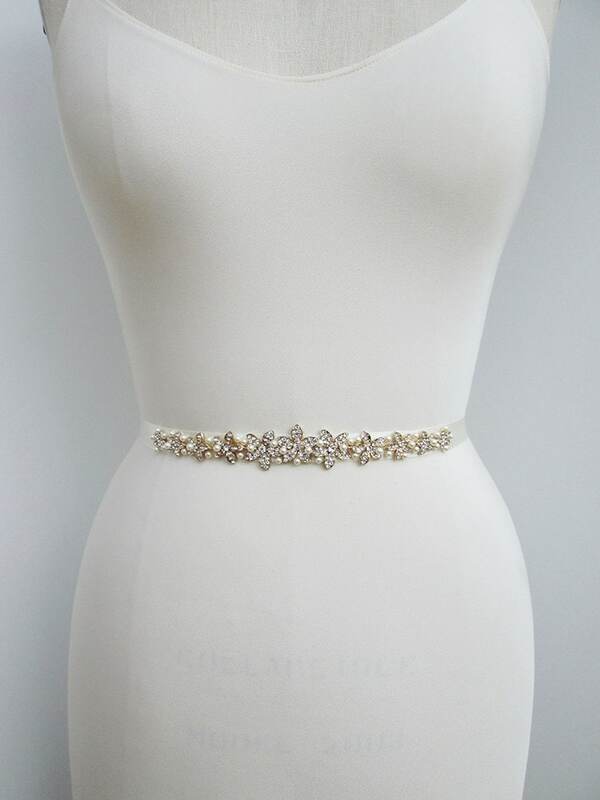 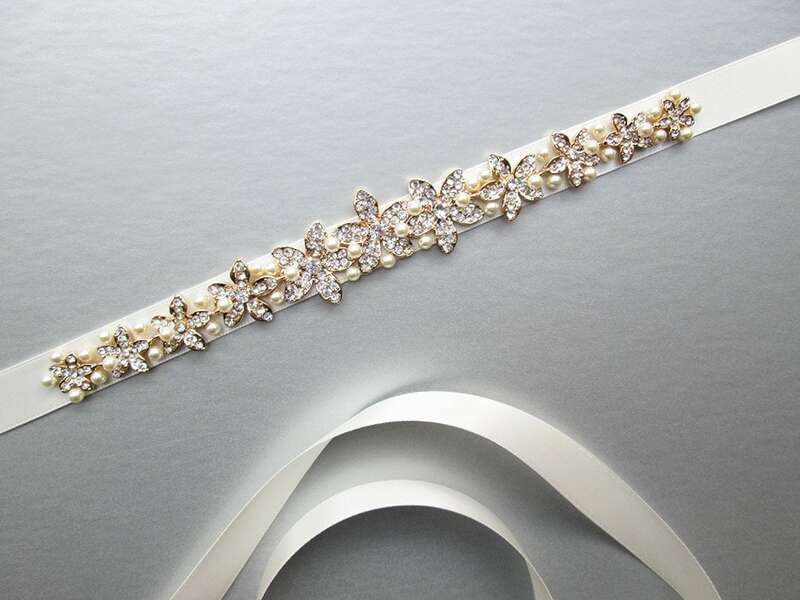 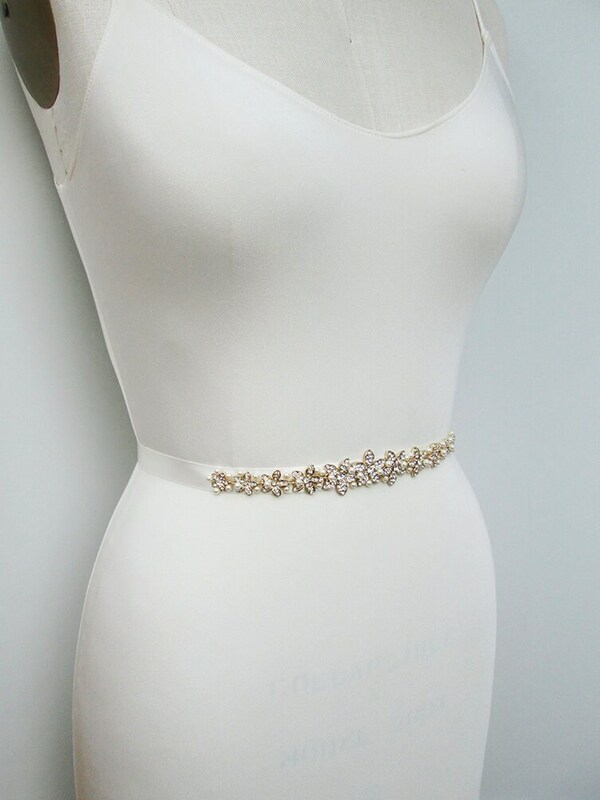 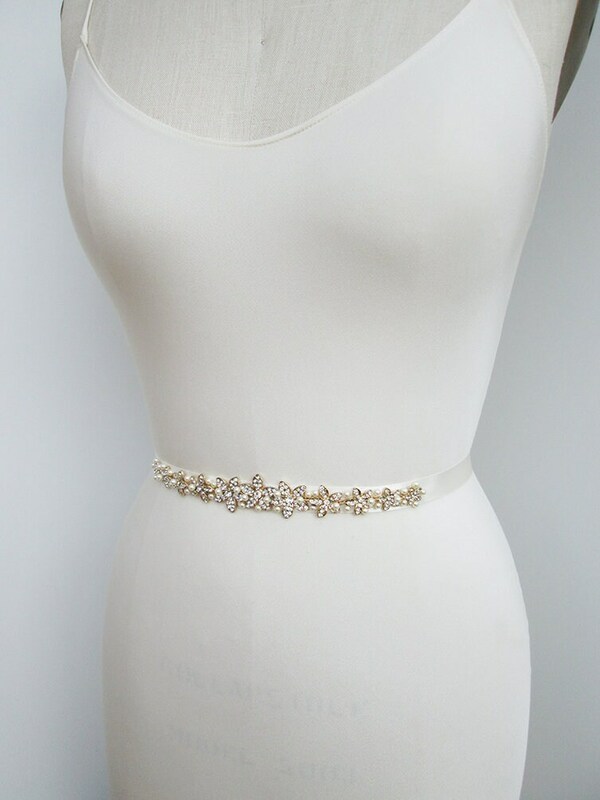 This sweet floral belt features crystal and pearl applique measuring 7 1/2" long. 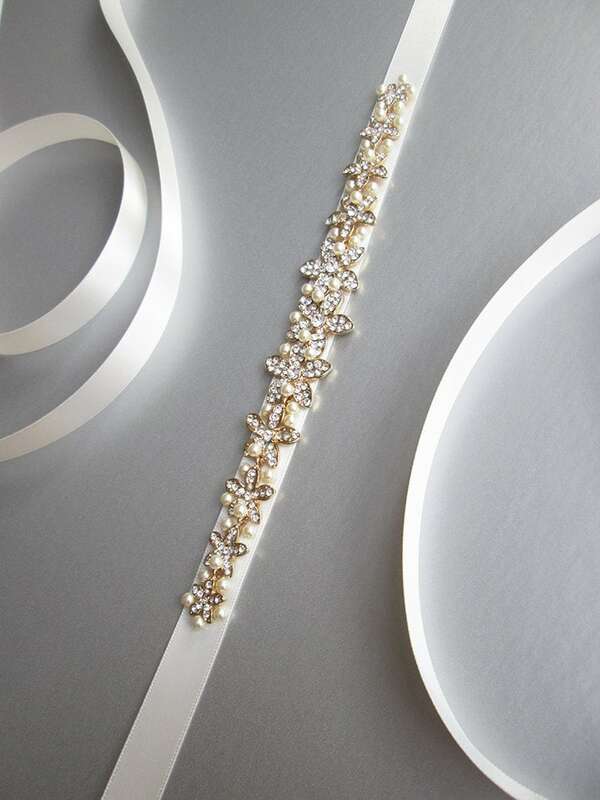 Made with the double face satin ribbon measuring 5/8" wide and 150" long. 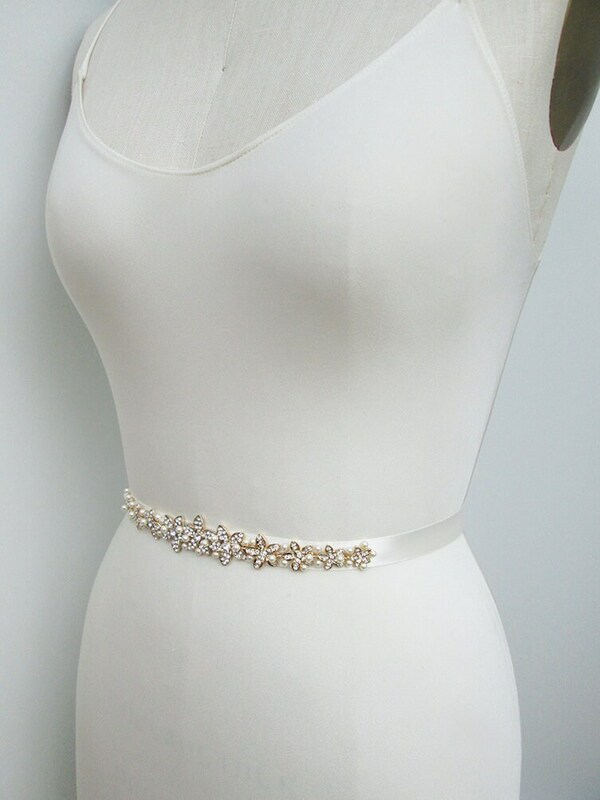 Available in gold or silver finish and with white or ivory pearl. 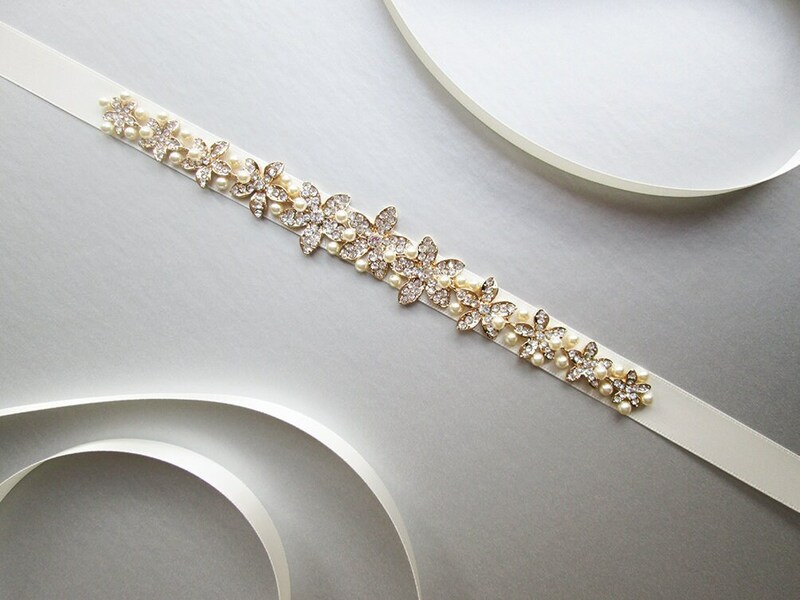 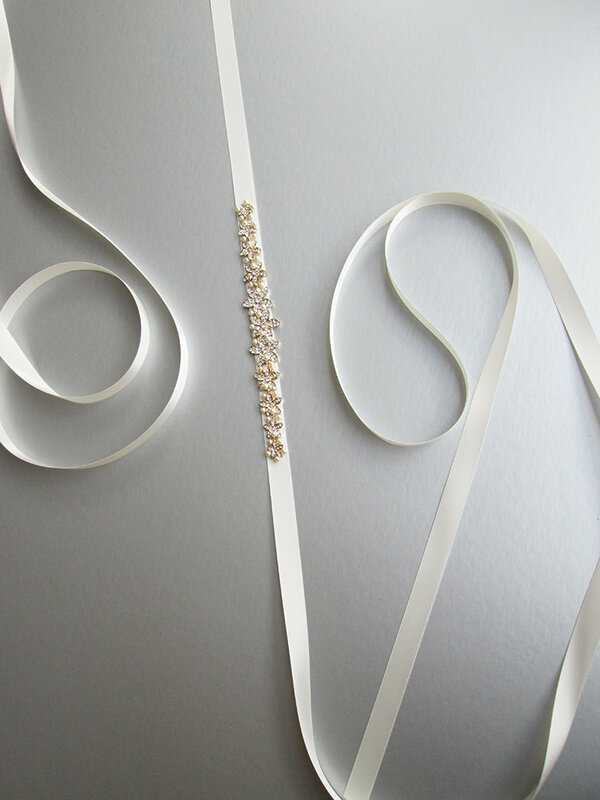 Shown in the photos in gold/ivory pearl finish and with light ivory satin ribbon.